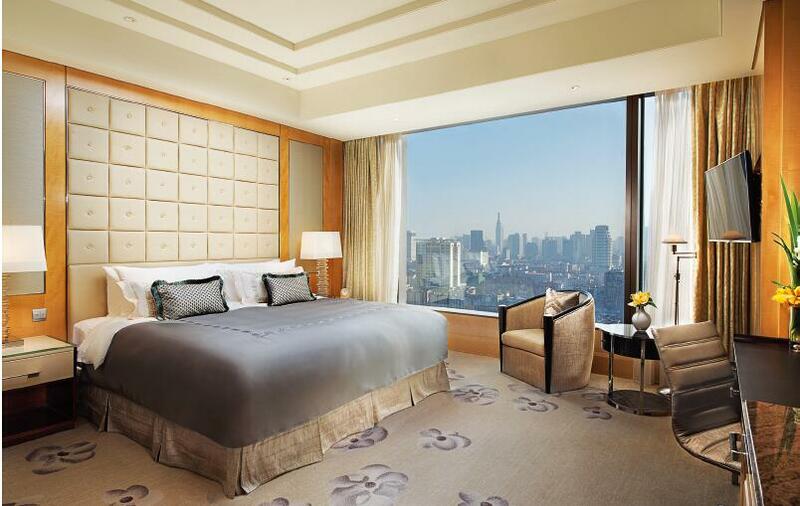 Mostly, when we are talking about hotel furniture, we mainly refer to the guest room furniture, such as bed, bedside table, bench, luggage rack, writing desk, chair, TV cabinet, wardrobe, coffee table, etc. 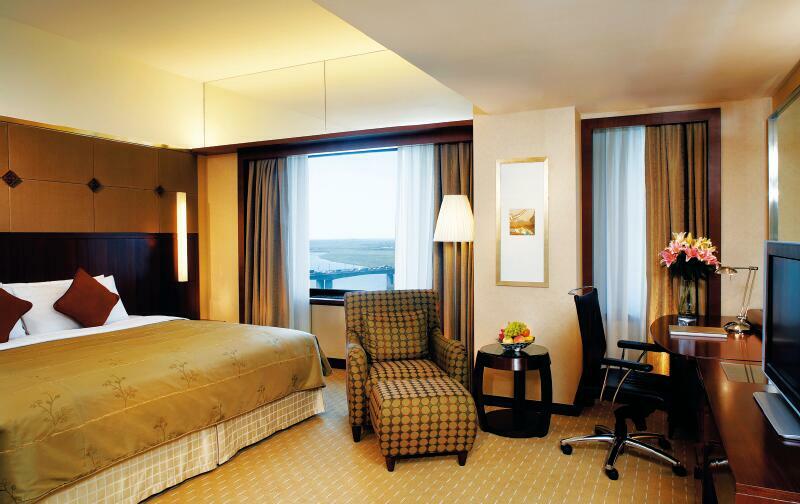 The following procedures will show how we can help you to customize your favorite funiture for the hotel guest room. What to provide to us? 1. Generally, you are kindly advised to send us your 3D rendering or real mock up shot for the guest room furniture that you are willing to custom made. A general snap short together with individual picture of each items would be better. 2. Next, a BOQ (Bill of Quantity) with detailed description will be appreciated. This is very important to save both time and avoid mail and calls back and forth for many times. Meanwhile, it is also more accurate for us to calculate the cost accordingly. 3. Another important point is, if there is special requirement on the items, you are suggested to make note on them. For example, fabric is the most difficult material to match. If you are not happy with the local fabric here, you are advised to provide your own or appoint the supplier for us to contact. Following the production workflow that we have been adapting for more than 10 years, we shall be able to catch what you want and optimize the production lead time effectively. 1.Initial meeting regarding the structure and material for required items. 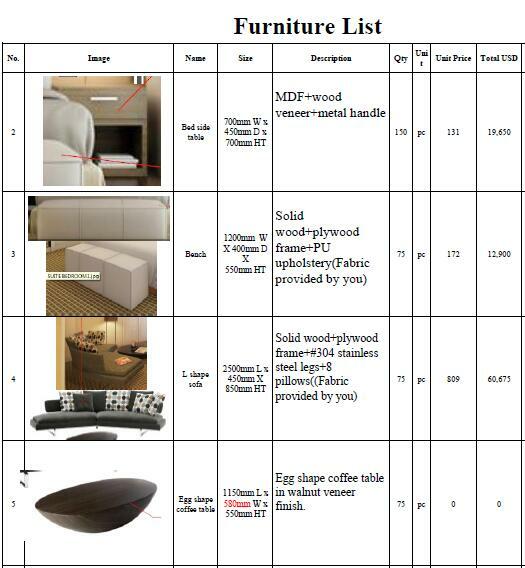 2.Checking proportion and details of the required custom made items. 3. Production drawings based on provided details, such as size, color, material, etc. 5.Wood working, carving, and assembling according to drawings. 4.Lofting components according to confirm drawings. 7.Both base coating and finish coating. 9. Trial installation before packing. 4. Upon the finished product, you are free to ship by air, by sea or by epxress. We have been working with our shipping agent for years, aiming to provide the best service if needed.